Experts at the Bulletin of Atomic Scientists (The Bulletin) recently blew the lid off what the US government has euphemistically called it's “Life Extension Program” for the W76 thermonuclear warhead deployed on the Trident II D5 submarine-launched ballistic missile. 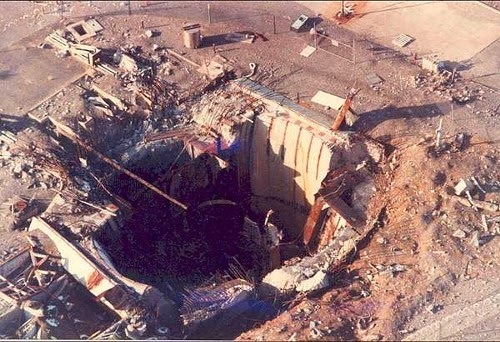 The article, “How US nuclear force modernization is undermining strategic stability: The burst-height compensating super-fuze,” authored by Hans M. Kristensen, Matthew McKinzie, and Theodore A. Postol, shows how the US military, under the guise of what it calls a “life-extension program” – allegedly intended to increase safety and reliability of nuclear warheads – has vastly increased the ability of warheads to detonate closer to their intended targets. The heart of the rebuilt W76 and its increased kill capacity is the new MC4700 arming, fuzing and firing system. This new system essentially gives the W76 capabilities it never had before; that is the capability to hit hardened targets – specifically Russian ICBM silos – with three times greater accuracy than before. Steven Starr, a senior scientist at Physicians for Social Responsibility and an expert on the climatic consequences of nuclear war, called the report “the most frightening article I have ever read in the Bulletin of the Atomic Scientists.” Starr has good reason for concern, as should we. This article exposes the US government's continuing pursuit of nuclear dominance over Russia. Because of the new super-fuze, essentially 100 percent of the warheads currently deployed on D5 missiles now have this capability to hit hard targets. This capability was previously reserved for the Minuteman III ICBMs and the relatively small number of W88 (455 kiloton) warheads also used on the D5 missile. And this would be only the opening salvo of a first strike attack. The remaining 80 percent of US ballistic missile warheads would likely be used to destroy mobile missile launchers, hardened command centers and other military and (potentially) civilian targets. Since the Fall of the Berlin Wall, the OHIO Class “Trident” ballistic missile submarines have become the central, and most important, element in the US nuclear triad. Based on the New START treaty signed in 2010, roughly 70-percent of the U.S.’ nuclear warheads will be deployed on Trident submarines. 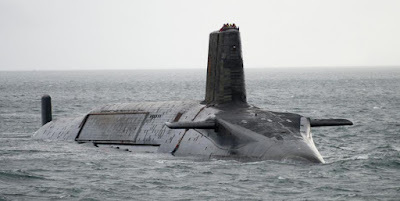 Trident has the ability to move undetected while on its deterrent patrols, and can be stationed in strategic locations in the North Atlantic where its missiles would have a very short flight time to Russian targets. The D5 missile can carry up to eight warheads. Under New START, the D5s carry an average of only four to five warheads. If New Start were to fail, which is becoming an increasing possibility with the current deterioration in relations between the US and Russia, the US could choose to fully load the D5s. In that case, based on the estimates in the article, two fully loaded Tridents (with 192 warheads each) could easily destroy all of the 136 Russian silo-based ICBMs. 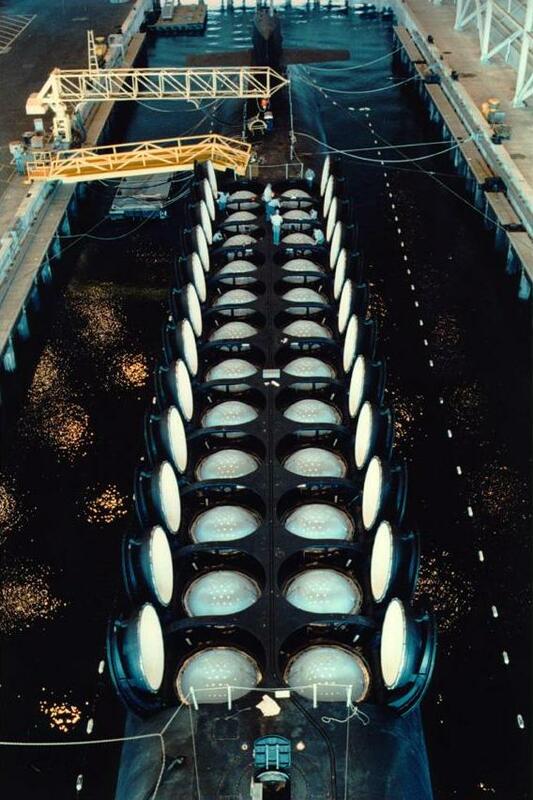 Aside from the other current US nuclear weapons developments, the development of the W76 warhead super-fuze will likely be perceived by Russia as the most threatening. This is in large part due to Russia having no satellite early warning system, and relying instead on ground-based radars. Because they are far less sophisticated than US radar systems, the Russians have “less than half as much early-warning time” (15 minutes or less) in the event of a suspected US nuclear attack. 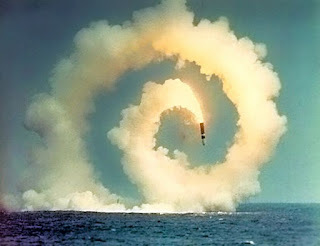 Both human and mechanical errors are inevitable in any system, and with nuclear weapons there is no margin for error. Accidents have occurred throughout the nuclear age, and more than one has involved false radar warnings. In 1995 a Russian early warning radar system mistakenly identified a scientific rocket launch from Norway as a submarine-launched (Trident) missile. Only at the last minute did officials realize that they were not under attack. The end of the Cold War brought with it a historic opportunity for the US to begin serious negotiations with Russia leading to nuclear disarmament. Instead, our nation continued to pursue nuclear dominance, and as a result, over 25 years later we are entering into what is unarguably a new Cold War with Russia. Trident is now three times more deadly than ever before. The US is rapidly moving toward production of a new ballistic missile submarine fleet that will be even more sophisticated than its predecessor. 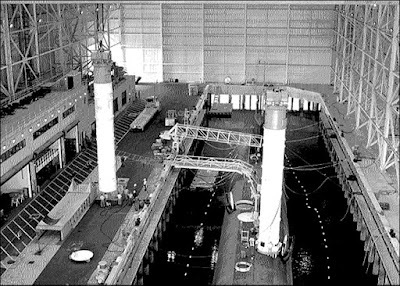 The twelve submarines of the Columbia Class (that will replace the OHIO Class) are being built to sail well into the end of this century. Along with the new submarines, the Navy is already seeking a new missile to replace the Trident II D5. How long can we go building newer and more sophisticated (and deadly) nuclear weapon systems before they end up being used either accidentally or intentionally? How long can we play this dangerous game of nuclear brinksmanship before something snaps? 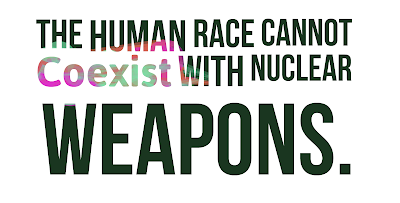 How can our nations' leaders, in good conscience, continue to put humanity at risk of nuclear extinction? If the US is serious about reducing the risk of starting a nuclear holocaust, the President will have to begin repairing diplomatic relations with Russia. Meanwhile, a critical first step would be for President Trump to take all nuclear weapons, including submarine-launched ballistic missiles, off hair-trigger alert. This would demonstrate to the Russians that we have no intention of using our nuclear weapons in a pre-emptive, first strike, and would greatly reduce the risk of accidental launch of nuclear weapons and the resulting nuclear war. The newly emerging nuclear arms race is a dangerous game that nobody can win; ultimately humanity will be the loser. The nuclear powers are addicted to the myth of nuclear deterrence and are driven to continue their insane pursuit of nuclear dominance. It is up to us as citizens to speak out in mass numbers calling on them to turn back from the brink and seek a path toward disarmament. Editor's Note: This article was first published in the April 2017 Ground Zero Newsletter, which you can access by clicking here. 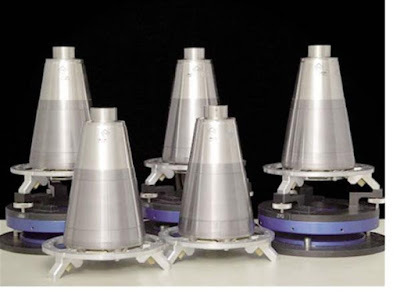 Read the entire article, “How US nuclear force modernization is undermining strategic stability: The burst-height compensating super-fuze,” at the Bulletin of the Atomic Scientists. Leonard Eiger talks about nuclear weapons on Speak Up, Speak Out! 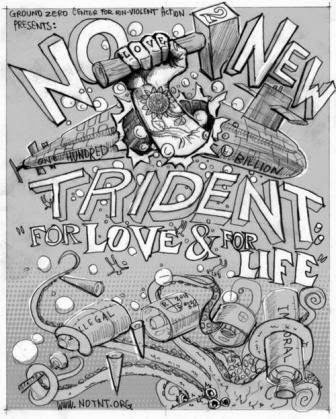 NO To NEW TRIDENT Campaign Coordinator Leonard Eiger was recently interviewed by Ginny Wolff on Speak Up, Speak Out! on KSVR – FM about the work of Ground Zero Center for Non-Violent Action since 1977 to protest the Trident submarines (and their nuclear weapons) based at the Bangor Naval Base in Silverdale, Washington. They discussed the history of Ground Zero, the bigger picture of U.S. foreign policy regarding the use of nuclear weapons, ongoing international tension, and the agreement between Congress and the Obama administration to spend a trillion dollars over 30 years to rebuild the entire U.S. arsenal of nuclear weapons. You can also click here to listen to this Speak Up, Speak Out! interview. The interview ends with a simple message listeners can deliver to President Obama. After listening, you can click here to send your message to the President. You can find more important action alerts by clicking here. Thanks to KSVR and Speak Up, Speak Out! for covering important issues you won’t hear in the mainstream/corporate media.